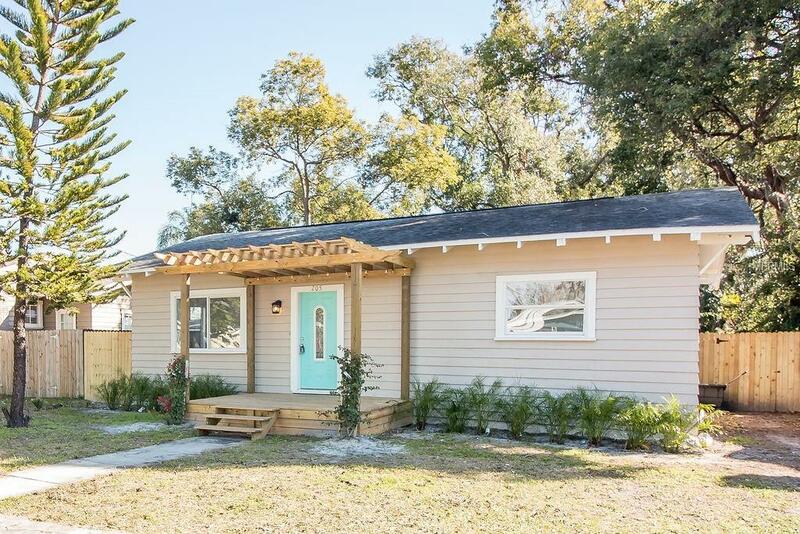 Living is easy in this charming bungalow located in the heart of South Tampa, FL! Park the car and enter the home through a custom pergola! Enter into the freshly updated floor plan which encompasses three spacious bedrooms with plenty of room for study, sleep and storage, two full bathrooms, and a unique kitchen design that is sure to impress. Updated tile flooring throughout and high impact carpet in one bedroom. Modern updates in both bathrooms. Every meal will be exciting in this kitchen full of character! New dishwasher included. Enjoy gatherings in the over-sized backyard and turn it into your Florida oasis! Located north of Kennedy Blvd and just south of I-275, this property is walking distance to upscale dining, shopping, and minutes to the University of Tampa, Macdill AFB, downtown Tampa, and St Petersburg. Nearby interstate access to beaches, Orlando, and Disney. Property is in Plant High school district. No HOA or CDD fees. Property sold as is. All measurements are approximate. Owners have never occupied home.